Chandoo.org produces it's Second MVP. Chandoo.org produces it’s Second MVP. 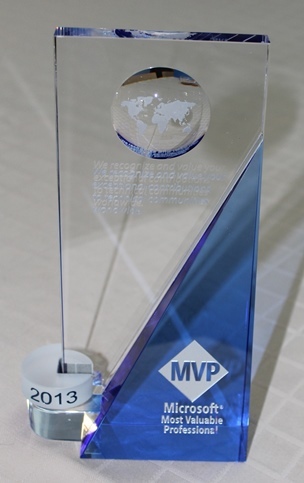 It is with great pride and humility that I announce that I (Hui) was recently awarded an MVP (Excel) by Microsoft. This award is given in recognition for my contribution to the Excel community which is mostly based here at Chandoo.org and also at ExcelHero.com/blog and the Excel Hero Academy. You can see a full lists of my Excel work at About Hui. So in part this award also belongs to Chandoo, all the Chandoo.org readers and my fellow Excel Ninja’s here at the Chandoo.org Forums as without the Chandoo.org platform, without the readers and without the ongoing support from my fellow Excel Ninjas, I am certain this wouldn’t have been possible. I need to especially thank Chandoo and Daniel Ferry for their support over the past 5 years. To the Chandoo.org community please accept my sincere thanx for your support and I look forward to our ongoing interaction in the years ahead. Congratulations Hui - A well deserved award for all your unselfish Excel help. Congratulations Hui! A very well-deserved recognition! Congrats Hui, and thanks so much for your help and insperation towards improving my Excel knowledge. Sir Hui , Heartily Congratulations!!! Hui, Congratulations on completing the MVP requirements. 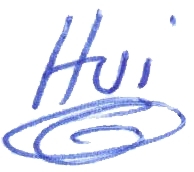 Hui. Congratulations. A well deserved honor. Congratulations, Hui! You truly deserve it! It is a great honour , well deserved. Congratulations , and may you continue to be one for many more years. Congratulations! It is very much a well-deserved honor. I have learned so much from your classes! Super accomplishment! Very well deserved!! My hearty congratulations to you on your achievements. I love reading your postings and learning from them. Congrats Hui. To me this is not unexpected and I also congratulate Chandoo. We hope to have many more on this forum as we continuously provide selfless service to the excel global community. Heyyyyyyy Congratulations. You really deserve even if you didn't (already) make me awesome in excel !! Congratulations, you deserve every bit of recognition for your work. That's awesome & so very well-deserved!!! I always enjoy your and Chandoo's articles on how to improve my Excel skills. Congrats!. Weel done. Go ahead in this way!. Congratulations! Many are called but few are chosen! Well deserved Hui, congratulations! You've DEFINITELY helped me out over the years! Congrate, but seriously dude, This award don't deserve you, you are far far better than this, trust me, the magics i have learnt from you, its just unbeatable. hats off. congrats, u deserved the best doing great work in the field of excel. Congratulations Hui on your well deserved achievement. This is indeed great news ! Hearty congratulations to Hui (and of course, Chandoo as well) ! Congratulations, Hui! All of you are great assets. Congratulations, Hui, for your achievement. Its well deserved. Cheers! Good on you Hui. Wishing you many more Accolade to follow through. Congratulations for a well deserved distinction! Thank you for sharing your vast knowledge on such a terrific tool. Thanks for sharing all that knowledge, curiosity, and enthusiasm laced with a pinch of humour. Congratulations, Hui. I enjoy your posts very much and it was well deserved. I also was nominated for the first year, it is awesome. Looking forward to meet you and Chandoo at the summit. Too kind of you to have replied to the question I raised in this forum. Felicitaciones, desde Colombia su aporte, conocimiento y el compartir hace especial su reconocimiento y triunfo. El idioma no ha sido dificultad para aprender de sus aportes. "Congratulations from Colombia your input, share knowledge and recognition is special and win. The language is not difficult to learn of their contributions. Congratulations Chandoo Hui! You very much deserve it ! I have always been your fan here in the Philippines and I never fail reading your news letters. I keep every one of them. In fact I am already with my Volume10! I even bought a one terabyte HDD just to keep all your teachings and get refreshed of things. They look at me with awe in the office whenever I do excel tricks. I am now working with the "some" to complete the tag --Ed the AWESOME! YOU VERY MUCH DESERVE THAT AWARD! Congrats Hui..Award Well Deserved....Thank you for sharing your knowledge with all of us. I'm sure Chandoo.org will produce many like this. Many congratulations Hui. You deserved it. More than that, we all are thankful to you and Chnadoo for sharing your vast excel knowledge. Many congratulations Hui for this award you deserve this. You and chandoo did a great job by helping people through this way. this blog help me a lot to resolve so many things. Keep up the good work guys a big God bless.. Very happy for you....keep up the good work and wish you more professional and personal rewards. Heartiest Congratulations Hui...After getting heart breaking news of Sachin Tendulkar's retirement from all forms of cricket, you gave us something to cheer!!!! Congratulations Hui well deserved mate and great to see a mining industry person achieve it! Very well done, you are a deserving winner!! I am not surprise to hear that.... you deserve that. Congratulation !!!!!!!!!!!!!!!!!!!!!!!!! What one may have to do if Chandoo.org wants to have 3rd MVP. Can some one briefs about it please? Congrats Hui. I am so happy about it. Next in line is Narayan. Thanks for sharing your knowledge. @All, Thank you all for your kinds thoughts and words. @Rudra, I see Sachin Tendulkar's son has just started playing cricket, so a replacement may not be far away. Congrats Hui, Next will be Narayan. Wish you all the best and for sharing your knowledge. You deserve it. You got so much knowledge to share. Congratulations! better late than never ; Muchas Felicidades !!!! Congratulations Hui that's Amazing. You guys are doing an amazing job at training, helping and providing "awesome" support for the users here. Hui, We knew it coming your way, you do excel at EXCEL. Many Many thanks to u. We r alaways with u. Go ahead bro. Its your time. Do everything on your own way. Hui, Congratulations on your well deserved award. I have found such inspiration and knowldege in the awesomeness you share. Best wishes. Alan. Congratulations Hui! That's fantastic news and the award is well deserved! Hui, your knowledge is incredible and you have helped so many of us! Just like Chandoo and the other Chitizens of Chandoo Land, you always go way out in front to help all of us! Tremendously well deserved accolade for a true Excel Ninja. Congratulations, and look forward to more of your inspirational work! Congrats! I use your site a lot because of your elaborate and clear explanations, especially for the more difficult to grasp issues. From my point of view, it seems to be well deserved. Thumbs up. Congrats on being conferred an MVP by Microsoft! Well deserved. Article on Data tables is by far the most comprehensive compilation on the subject. Thanks for your magnanimous sharing of knowledge!